It's been a while since we last updated our blog, while both cy and swee are swamped with work, I've also settled down with a job in Singapore! I always feel frustrated, especially during lunchtime, with the limited food offerings around my workplace at ulu industrial area Tai Seng. Thankfully, the various F&B outlets at BreadTalk IHQ have become my saviours! 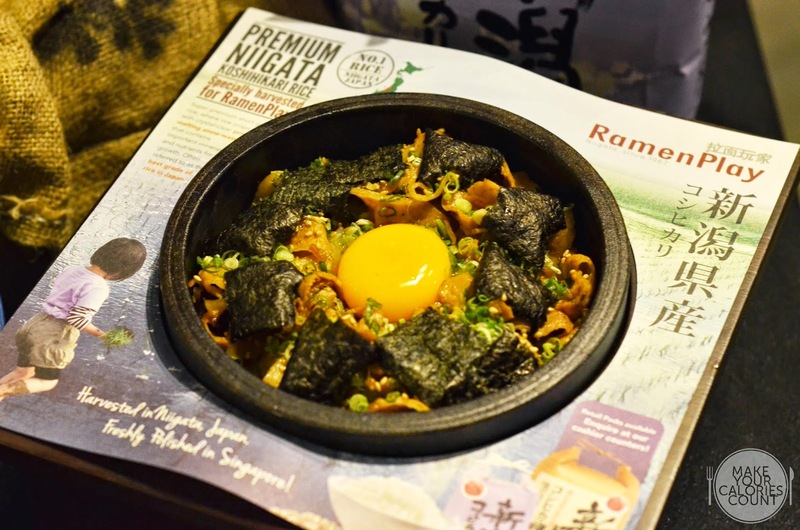 The well-known RamenPlay has been around in Singapore for quite a while. 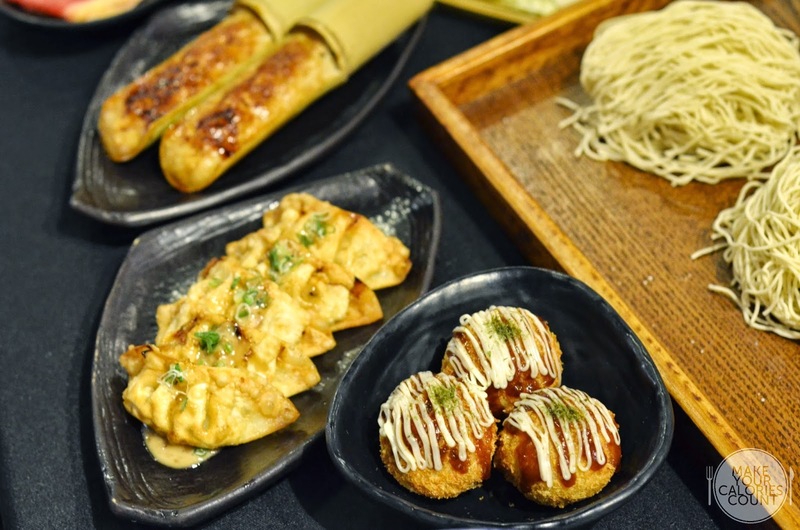 For those who are not familiar with them, they are a collaboration between BreadTalk Group Limited and Sanpou Co Ltd with decades of experience in the Japanese F&B industry, which targets a wide range from age of 18 to 45 with an extensive menu selections. 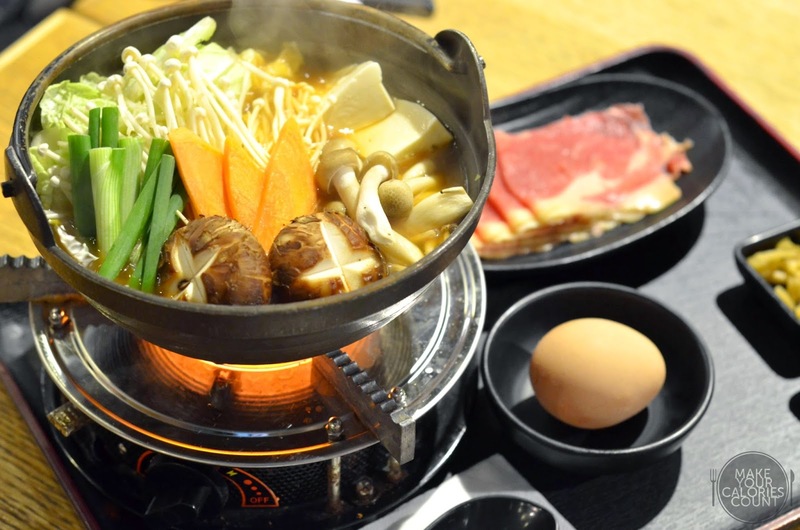 This is some real deal for a shabu shabu set with an assortment of generous portions of fresh vegetables such as tofu, cabbage and three types of mushrooms (hon shimeji, shiitake & enokitake). 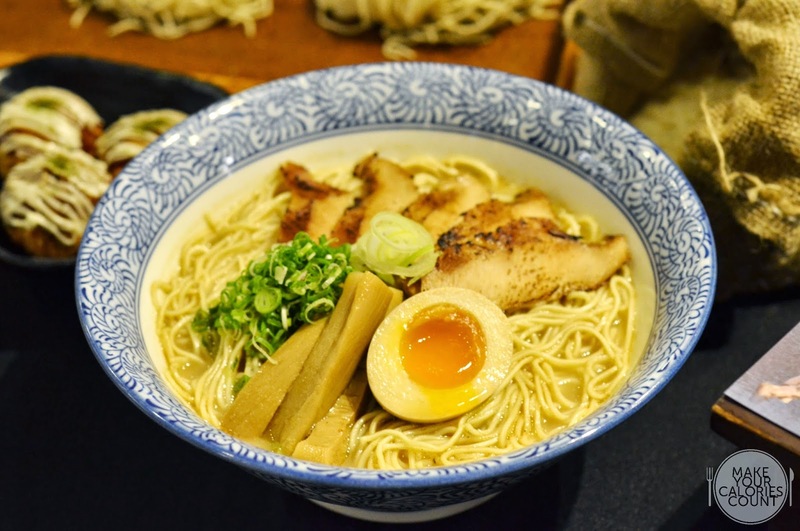 Customers can customise their own meals with a choice of soup base either clear or kimchi; thinly sliced good quality Australian striploin beef or Brazilian pork collar; and choose a staple between premium Niigata Koshihikari rice or thin udon. The clear soup was cooked by simmering chicken bones and shoyu, which was light and ended on a sweet note. If you have a heavier palate, go for the Korean kimchi soup which carried a mild spice taste that would whet your appetite. It was a perfect reunion of flavours when the succulent meat soaked up the soup and dipped into the goma 'sesame' sauce. Accompany that with a few spoons of the fragrant pearly rice! *Currently available at four restaurants, BreadTalk IHQ (from 5pm onwards), Nex, Jem and Velocity @ Novena Square, and will be introduced at Bedok Mall by June 2015. The bowl itself was already piping hot, perhaps to prevent the heat of the ramen from fading away quickly and we were really impressed by their thoughtfulness. One of RamenPlay's best-sellers, this dish serves thin, elastic Kyushu ramen in a heart-warming broth of smoked fish and pork bones. While I enjoyed the greasy, tender seared pork cheeks, the broth lacked a depth of flavour. Hard to resist this sizzling stone pot rice with pork which uses premium Niigata Koshihikari rice from Japan, complemented with pan-fried and barbecued pork, spring onions, seaweed. It was topped with a raw egg and upon service, a special sauce was drizzled down in the stone bowl for an extra boost of flavour. The chicken flesh was stuffed and grilled to beautiful golden-brown on bamboo sticks. 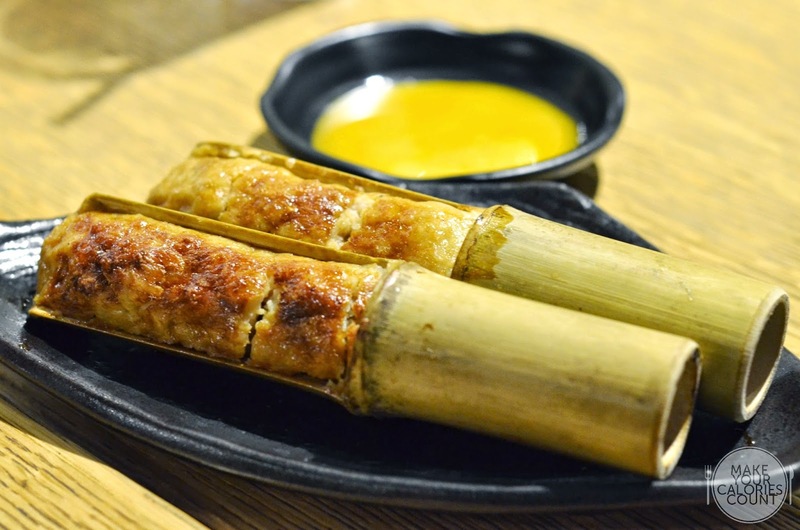 The bamboo imparted a natural sweetness to the chicken flesh and the dish was completed with a dip of egg yolk. 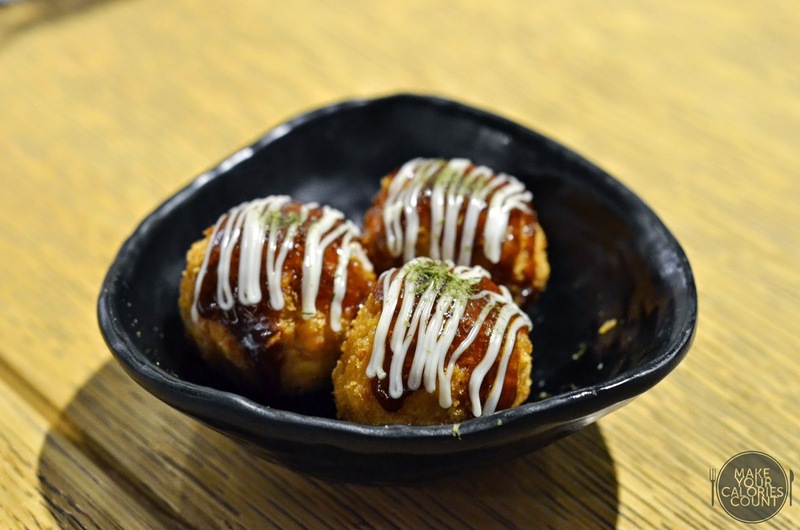 Unlike the usual yakitori grilled meatball we usually get, this deep-fried rendition adorned with mayonnaise and plum sauce was a simple pleasure to everyone at the table. Although it was deep-fried, the chicken meatball was crispy and not overly oily, best served as a side dish. 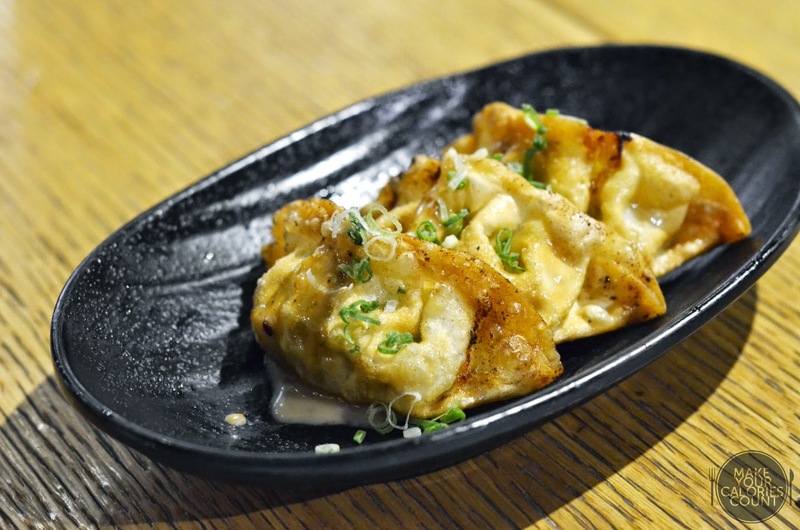 Another side delicacy that's worth trying and a must-order at any Japanese restaurant, the chicken gyoza was stuffed with minced meat pan-fried till crisp and finished with a touch of goma sauce. The juicy flesh was starkly juxtaposed with the crispy dough skin, which made every mouthful a joyful munch. It is almost a mantra to feature matcha in any classic Japanese dessert. 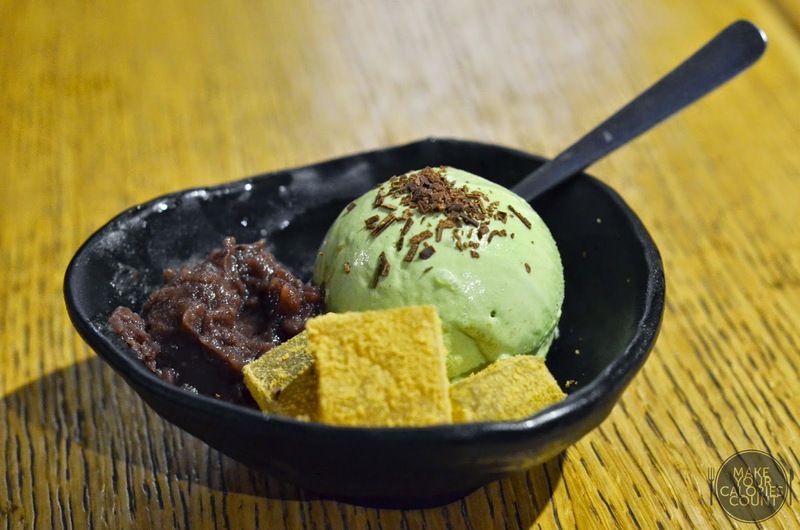 The matcha ice cream served with azuki beans and chewy mochi dusted with kinako 'roasted soy bean flour'. The ice cream was a bit too milky for my liking and I would prefer it to have stronger matcha taste. 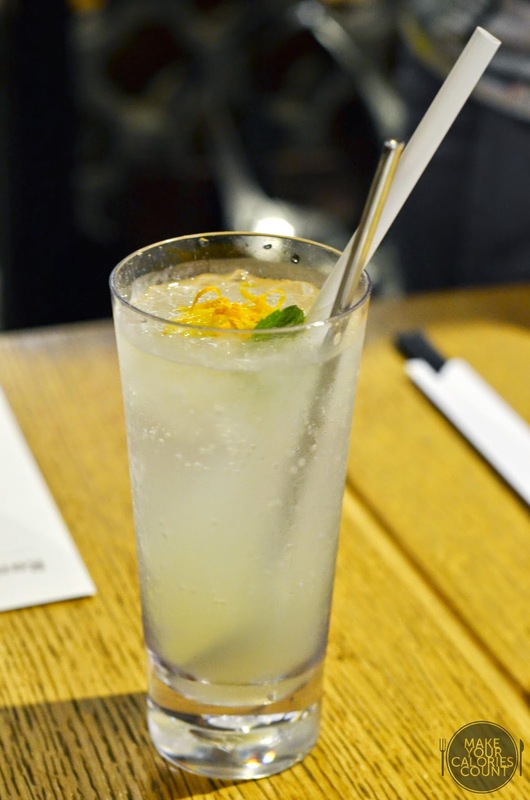 A refreshing beverage to go along with the savoury dishes, concocted with yuzu juice, soda and yuzu peel, there's even an alcoholic version filled with 15% of soju available. When there's not much good food in your area, you would know how blessed you are when you have food that are consistently good at affordable prices! P.S. Special thanks to RamenPlay for the invitation and hosting us!